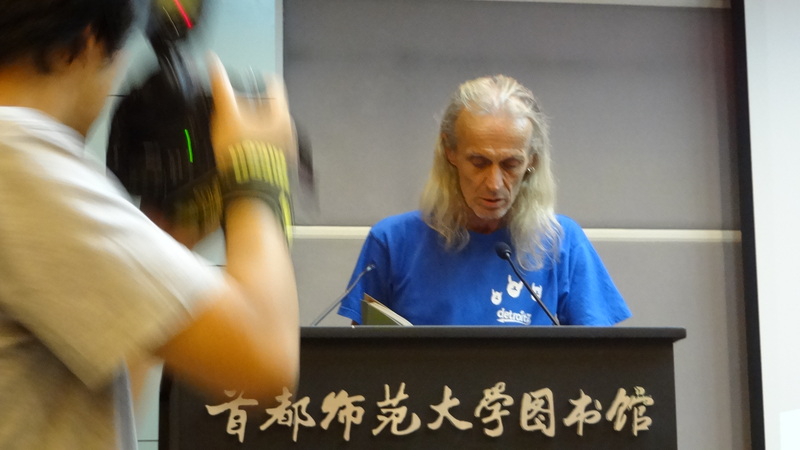 Brane Mozetic at the Slovenian Literature Center sent three poets to China in early August 2013. It was arranged when I (MZ) met him two years ago at Nicaragua Poetry Festival. 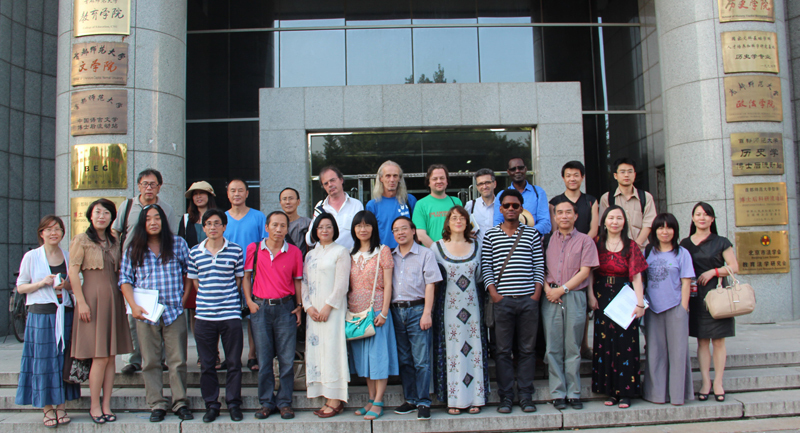 I went to Beijing on Aug 3rd and joined the poets. 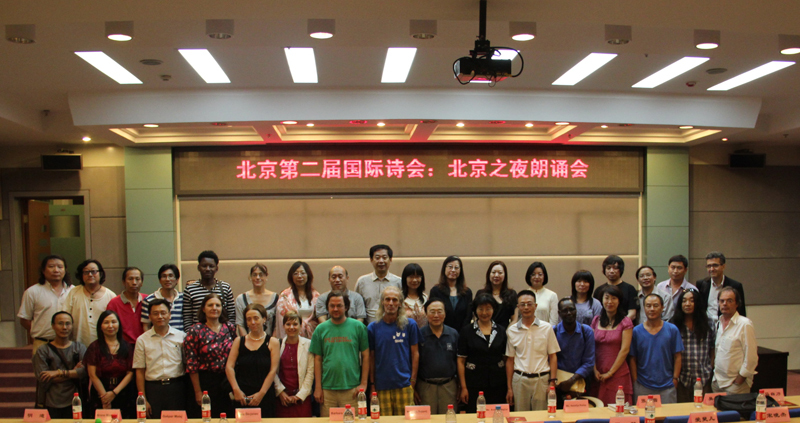 It was good to collaborate with Beijing Capital University/Poetry Research Center again. 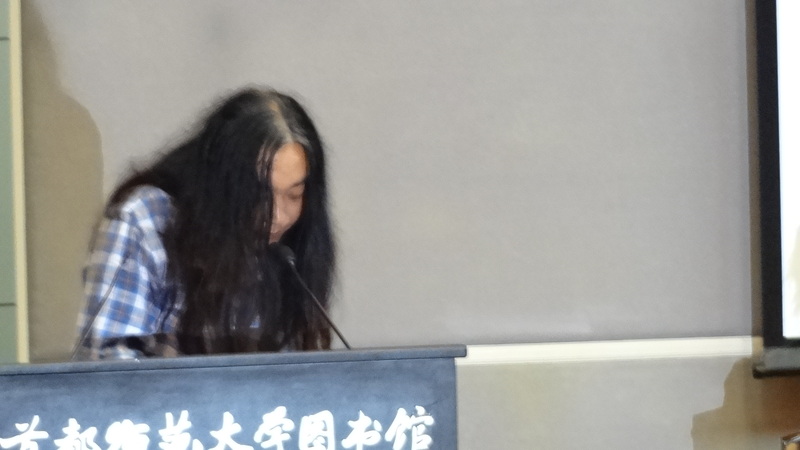 Professor Zhao Minli , the director of the institute, was out of the country but provided financial support for the 2nd edition of Beijing Poetry Festival. 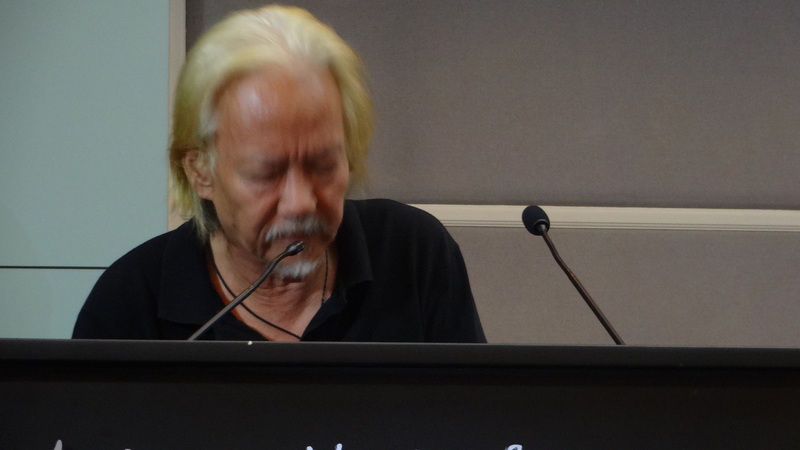 There have been other Chinese-Slovenian poets translating each other, but this time we didn’t have to use translators as all the poets speak English and are poet-translators with previous publication of translation work. We explained to each other the aesthetic drive in each poem while polishing the translation results. We only wished we would have more time for the project. 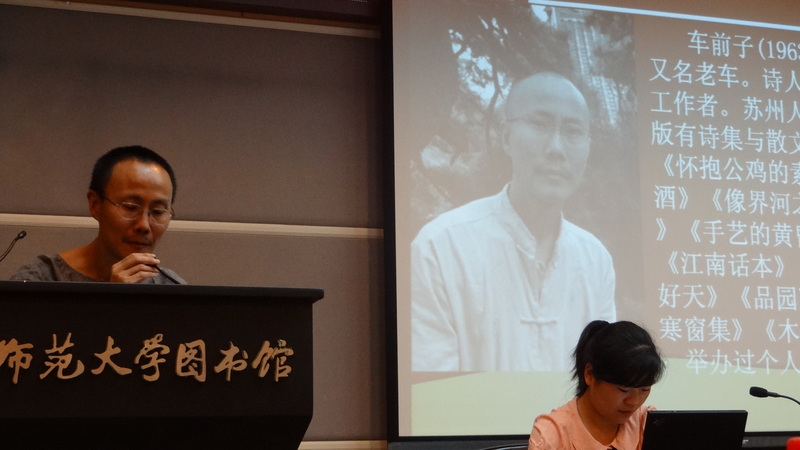 The symposium of “Foreign and Domestic Experience” on Aug 5th was well attended by Beijing poets such as Xi Chuan, Wang Jiaxin, Mai Mang, Che Qianzi, Wang Dongong, Xu Yue, etc. 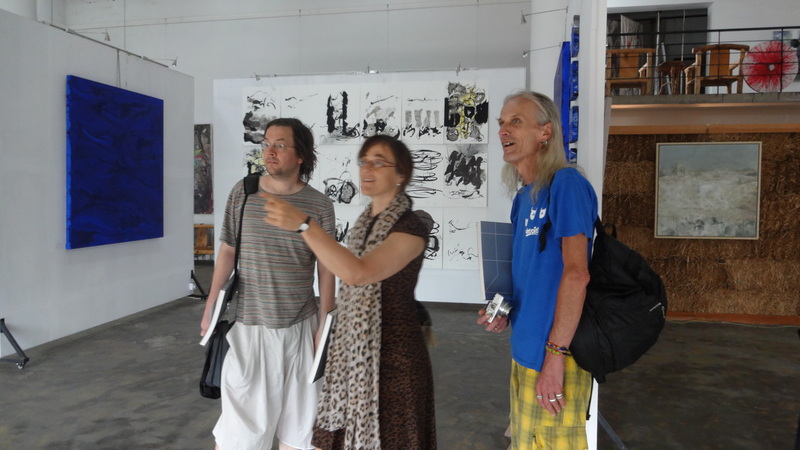 and three French speaking poets brought by Shu Cai. As usual, the real conversation began at the end of the afternoon – there’s never enough time. It was still daylight when we walked out of the conference room. So we had a picture taken before going back to the hotel for dinner. In the evening we had a reading in the small auditorium. 20 poets read that night. 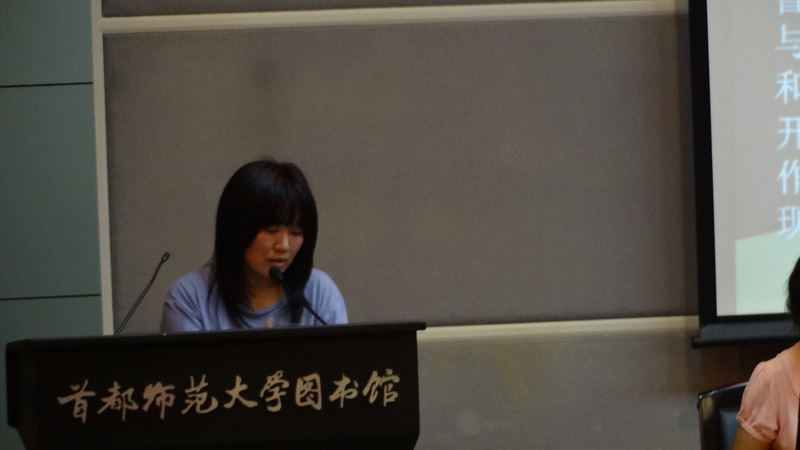 The fun part was when Che Qianzi made a poem on the spot in response to Barbara’s poem. He said: my head was chopped, but I saw your hair. On the 6th of August, we take the guests to Shangyuan residence program, my 2nd home in China, in the northern suburb of Beijing. 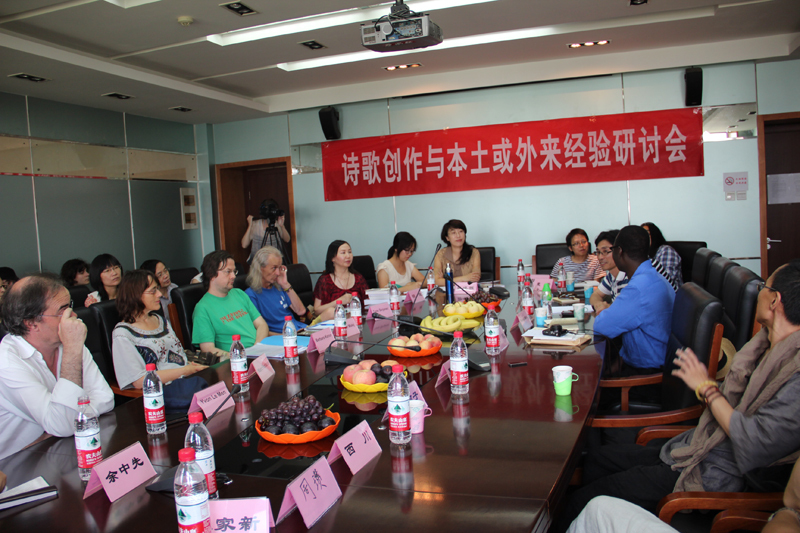 On the 7th, we had 2nd part of the translation workshop at Beijing University.